Zandvlei is an important conservation area within easy reach of many local schools. ZVT supports environmental education because we believe it is vitally important for young people to experience a broad range of environmental educational programs so that they will be more inclined to protect their natural environment in the future. Educating and inspiring our future conservationists. Those of us who live around Zandvlei are particularly privileged to have access to a rich variety of natural resources – an estuary, a lake and a Nature Reserve as well as mountains, the ocean and beautiful beaches all of which are affected by the activities of humans. Development, pollution, litter etc threaten the animals and plants living in the area. It is critical that our youth learn to value and love the natural environment. That’s why ZVT strongly supports the environmental education programmes that are run at Zandvlei Nature Reserve with learners from local schools, where there is a well-equipped Education Centre and staff who are passionate about what they do. In addition, due to the proximity of the Nature Reserve to Steenberg Station, large groups of learners from schools further afield are able to attend environmental education lessons by train. 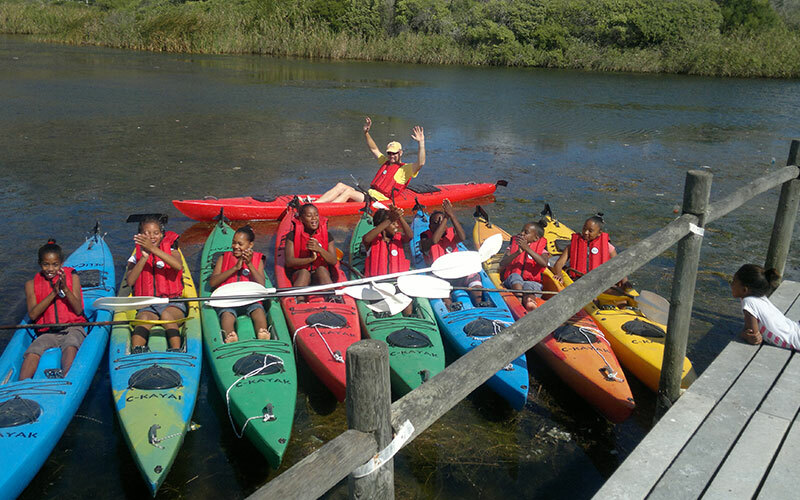 These activities include a wetlands programme, leopard toad awareness lessons, water safety, kayaking, recycling of waste, planting fynbos and vegetable gardens, hiking in local mountains and much more. ZVT fundraising events and efforts are primarily aimed at raising money to sponsor transport – via bus, taxi and train – for groups of learners to and from the Reserve as well to the surrounding mountains, and other Nature Reserves in the City.